God bless em, Motorola is doing everything it can to make its quite decent Moto X happen. The latest promotion will give consumers a free Chromecast when they buy an off-contract phone via Moto Maker through Tuesday, Jan 14. It's not exactly an intuitive process; in order to receive the free Chromecast, purchasers must enter the code "STREAM" in the promo box at last checkout page and the $35 Chromecast will be added to their order. An off-contract phone purchased through Moto Maker starts at $400 for the 16GB version, and (Chromecast-less) on-contract versions begin as low as $50 through Verizon. While the sales of Googlerola's flagship got off to a rocky start, a few waves of price cuts and site-crashing Black Friday deals have kept the device a hot ticket. For the record, several co-workers here at TechHive/PCWorld have the Moto X as their personal phone and are still very pleased with it, even months into ownership--which helped the Moto X establish itself as the phone of the year in PCWorld's Best of 2013 awards. Motorola is wise to try to keep the phone in the public imagination until the next generation rolls out. But also, it is in parent company Google's interest to get Chromecast into as many TVs as possible. By all indications, Chromecast is selling just fine on its own. But really, at $35 per dongle the profit margin can't be that big--and the real benefit to Mountain View is bringing more people into the Google ecosystem via their TVs. 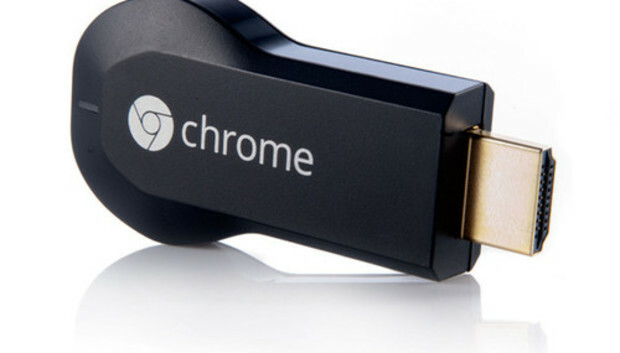 Google should be throwing free Chromecasts at people. Post Crowdfunding: Can a "grippable computer" transform how we work?